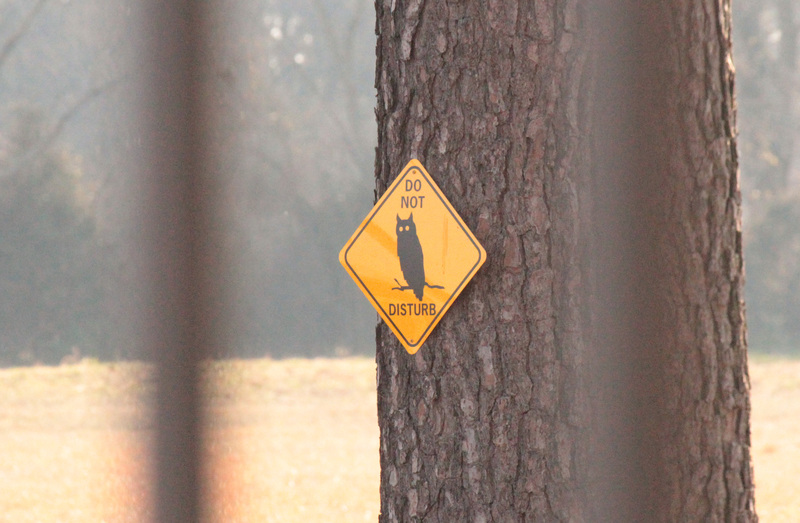 I finally saw my first owl. 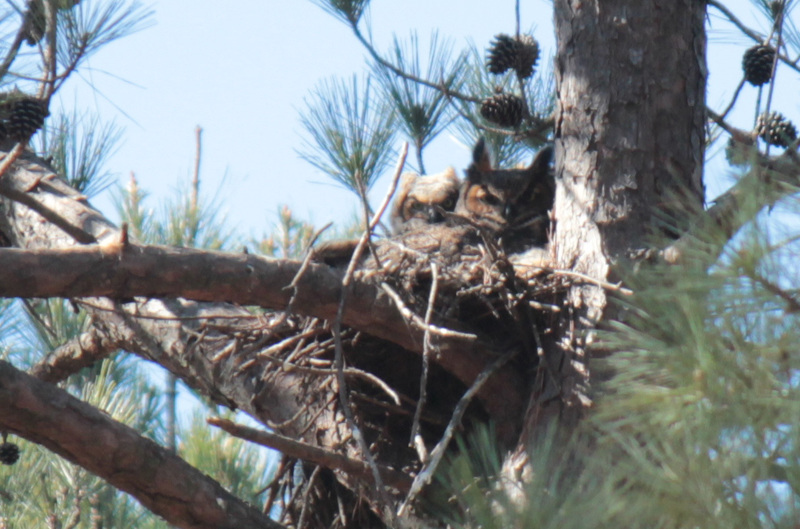 Well, actually it was three Great Horned Owls — a mother and two juveniles nesting near the top of a pine tree. I visited the area twice, taking pictures from across the street before I finally saw the first baby. I was pretty excited. 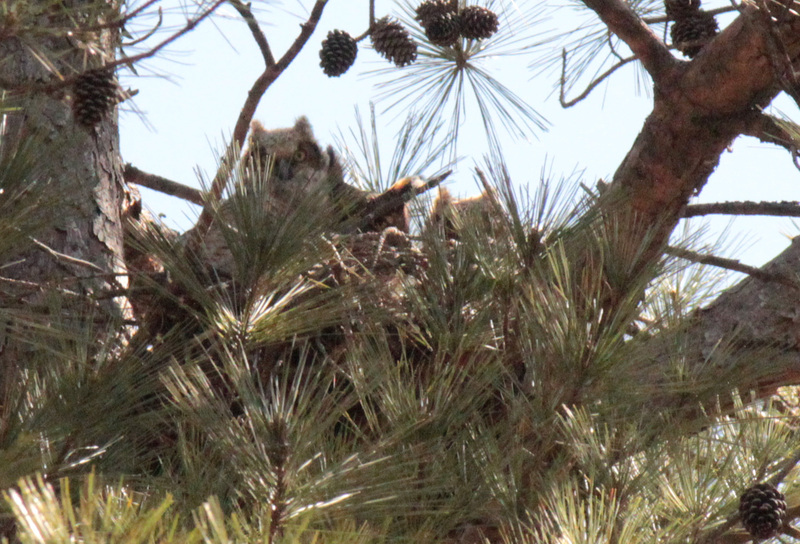 Great Horned Owls are common to the United States year-round. 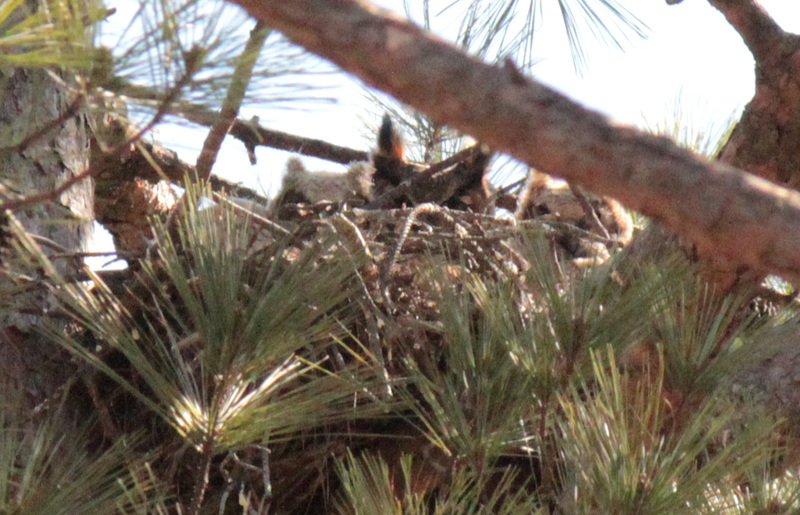 However, it was still my first time to clearly see an owl in the wild. 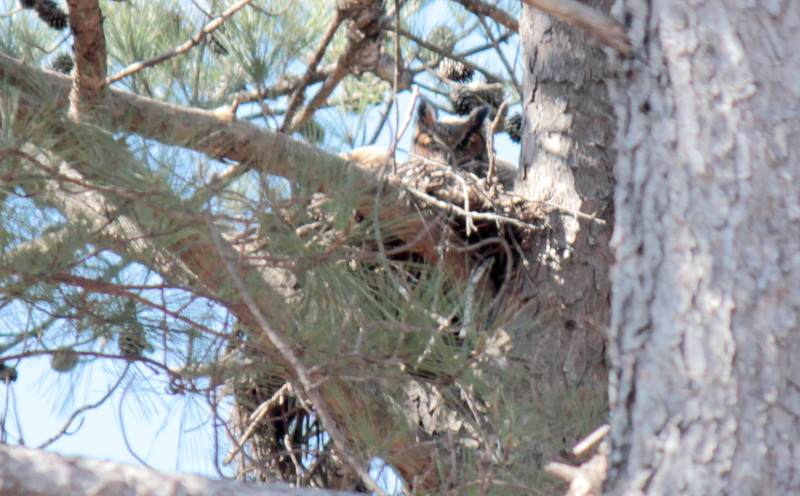 I visited the nest mid-morning and late afternoon and, surprisingly, the mid-morning visit yielded the best results. 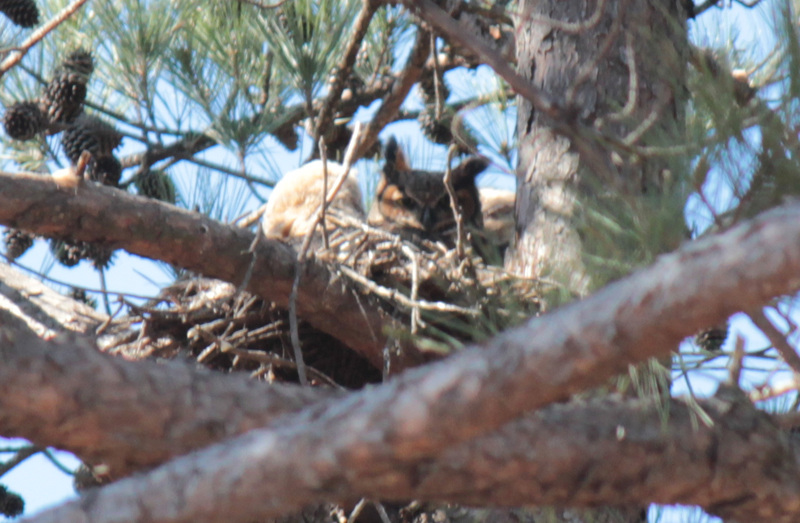 After the sighting, I had to go to allaboutbirds.org to read up on the Great Horned Owl. 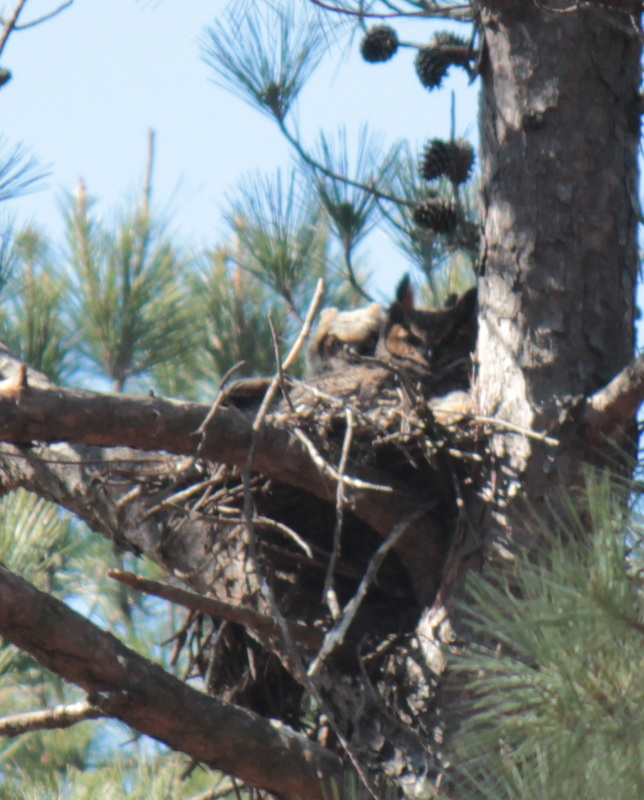 It was neat to learn that it is the “only animal that regularly eats skunks” and that they often take large prey, such as other owls, nesting Osprey and falcons.